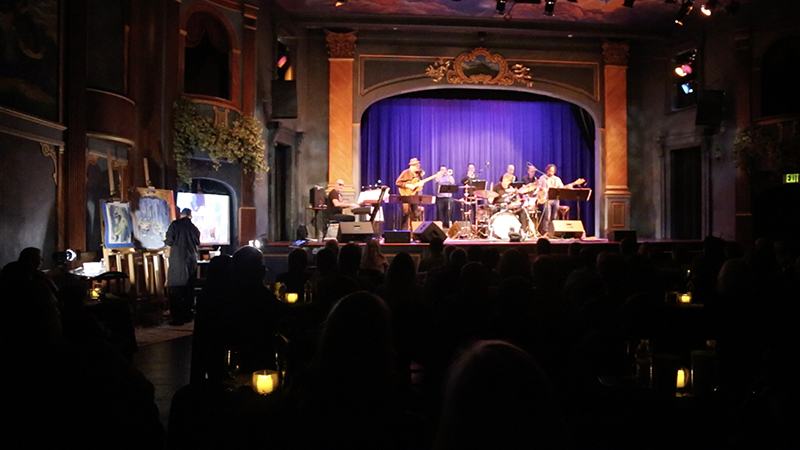 I painted live at the Throckmorton Theatre in Mill Valley with the Tommy Igoe Groove Conspiracy in an Art of Jazz concert. I worked on three media: paper, canvas and iPad (glass). 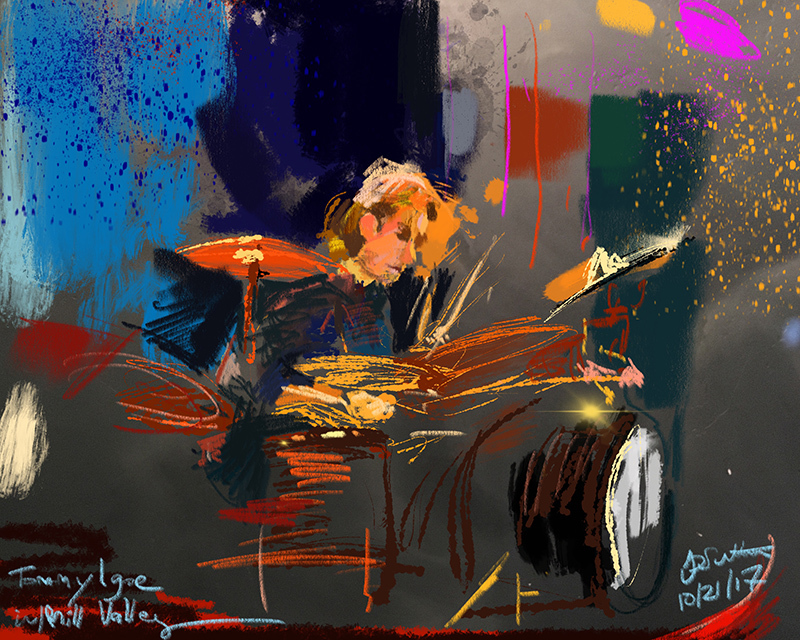 The image shown here is my iPad sketch of Tommy in action. 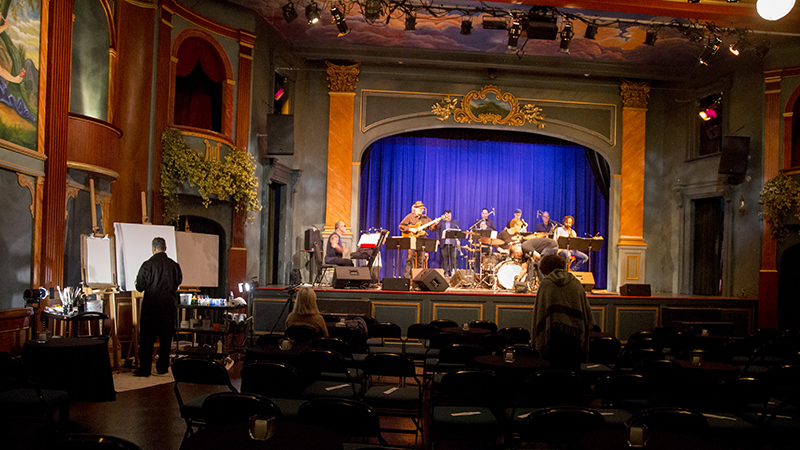 Also see the Art of Jazz Tour page. Setting up before the show.